1. Archie is going to get dark. As showrunner Roberto Aguirre-Sacasa (RAS) tells Entertainment Tonight, Archikins is going on a "hero's journey" à la Bruce Wayne and Peter Parker, but before he goes on that journey, he'll take on elements of revenge, darkness, and violence begetting violence. "So it's going to be a really different Archie for season two," he says. "That's really exciting." 2. Season two will pick up where season one left off. RAS confirms to The Hollywood Reporter that while Archie's journey to darkness will be the "spine" of the second season, finding out who shot Fred will "absolutely" be the focus of the beginning. 3. A "civil war" is coming. Betty aptly provided this forecast in the season finale, telling Jughead she doesn't want to "let a civil war rip us apart" as he inches closer and closer to the south side. Sorry, Betty. It's happening. RAS reveals to both TV Line and ET that the war will occur between the north side of Riverdale and the south side. Does this mean Jughead will have some tough decisions to make if he joins the Serpents during this time of war? Will there be a nice story arc about forbidden love? 4. 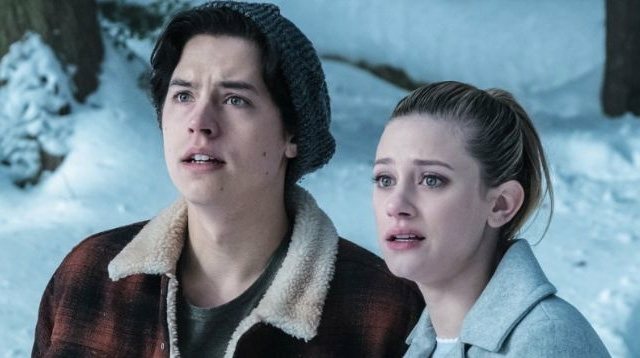 You guessed it: Betty and Jughead's relationship will be on the line. RAS tells ET that as Jughead "sort of" follows F.P. 's footsteps, there might be some distance between himself and Betty. A "central conflict" will threaten their relationship, and yes, it's really too bad considering the fact that their relationship graduated to "I love you" levels in the finale. 5. Betty's secret older brother might make an appearance. It's not definite, but RAS tells TV Line, "I wouldn't be surprised, and that's all I'll say about that." 6. The birth of Polly's twins will happen on season two. "I don't want to say too much, but no, that is absolutely not something that will happen off-screen,” RAS tells TV Line. Yes! Another set of twins to get excited about. Love it. 7. There will be some new faces. Mark Consuelos will play Hiram Lodge, who is a hop, skip, and a jump away from getting out of prison to join Hermione and Veronica at their fancy apartment. Right off the bat, Hiram will not approve of Veronica and Archie's relationship, RAS tells THR, adding that Hiram and Hermione will be a "power couple" in season two (think Frank and Claire Underwood on House of Cards). Meanwhile, Reggie Mantle will be recast while Ross Butler heads to a second season of 13 Reasons Why on Netflix. Thanks for the memories and the abs, Ross. 8. Sabrina the Teenage Witch and those zombies you keep on hearing about might still have a chance to enter the Riverdale world. In an interview with Comicbook.com, RAS says while there was a lot of discussion about introducing Sabrina in season one, the show ultimately left her out because she risked overshadowing every other storyline ("it's such a big idea to introduce the supernatural into a natural world"). He says the second season will continue to hint at supernatural elements, much like the first season with visions of Jason as a zombie and ghost and Archie's visions of werewolves, which might open a door for Sabrina. "Or that might just be to make it more like Twin Peaks and the way they dealt with the supernatural," he says.